Product prices and availability are accurate as of 2019-04-17 13:47:00 EDT and are subject to change. Any price and availability information displayed on http://www.amazon.com/ at the time of purchase will apply to the purchase of this product. 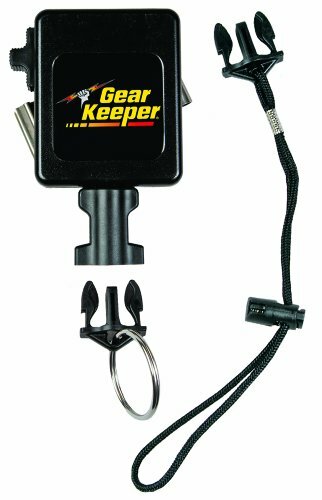 Gear Keeper retractable instrument tether with rotating belt clip. Includes barrel-lock lanyard and 1-inches split ring. This retractable instrument tether secures your instrument, preventing loss and damage while allowing easy extension. Designed for heavy instruments. RT3 Series with two QC-II accessories included. Locking mechanism. 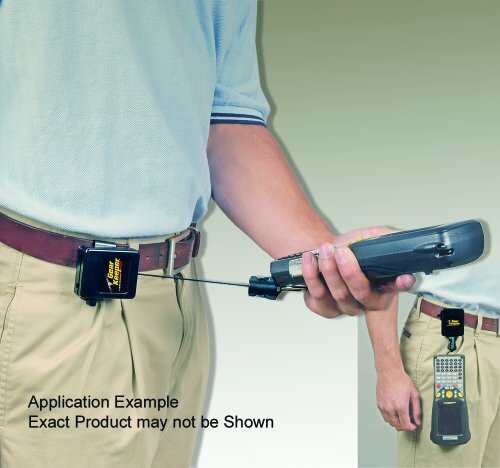 Rotating belt clip mount attaches to pants or belts up to 2-inches. Rotates 360 degrees. 80 lbs breaking strength. Impact-resistance plastic case. Saltwater proof. Flushes sand and debris when operated in water. 12 ounces retraction force. 42-inches extension.